We run an informal club 'Junior Morning' on Saturdays at the end of every school week. Activities include coach-led team games and coordination activities suitable for newcomers or for regulars to socialise with players from other groups. Tots can attend as a visitor with no limit, but there is a limit of 4 guests visits for 10am group onwards before being required to become a member. 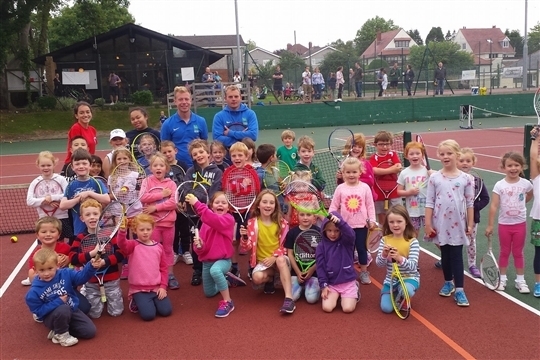 Join the club for free and unlimited junior morning access plus court usage, reduced price coaching and more! Looking for more formal group coaching with fixed numbers and a set curriculum? See our year-round Group Squads.